On the back of a long winning run, the Whalers gathered hopefully at Kings House for the rematch against old foes the Cricketers. The weather was hot and muggy, the pitch was true, and the outfield looked like straw-coloured concrete, so all the pre-game chat was that this would be a good toss to win… Will lost the toss, and we were bowling – having perhaps already talked down our chances of a good performance. Despite this, accurate bowling from Nick, excellent wicket-keeping from debutant Jim (who stood up to pretty much all the Whalers bowlers), and some good catches meant that by drinks the Cricketers were only on about 90-3. As pretty much anything which got past the infield was guaranteed to go for a boundary, the game was still in the balance. However, the Whalers had already dropped the Cricketers opening bat Grace a few times, and post-drinks things got a bit more ragged. Will rotated the bowlers but some more drops and tired fielding, and some excellent batting, saw Grace to his second ton of the season against the Whalers. 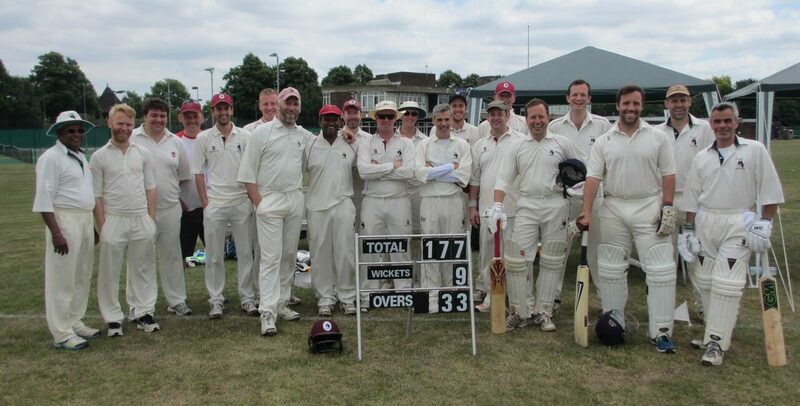 The Cricketers closed on an imposing 251-4, with the only post-drinks highlight being Paul Mildon’s diving, sliding catch millimetres from the ground which deservedly got champagne moment. The Whalers reply got off to a watchful start, but wickets then started falling including two LBWs in two balls (and a golden duck for your author). The Cricketers then unleashed their secret weapon of very slow bowling, and with no pace on the ball, the fielders well-spread, and needing at least a couple of boundaries each over just to keep up with the run rate, the Whalers innings wilted in the heat. Geoff hit a quick 20, and Pip held one end down with a top-scoring 49 and entertained the crowd with a couple of reverse sweeps. But Pip, Amit and Josh were then all out identically, stumped off wide slow deliveries from the same bowler, and when Nick missed a full toss the Whalers were all out for 138. Perhaps the kindest thing that could be said about the Whalers innings was that the scorebook was very neat. Man of the match was Jim for his wicket-keeping, with an honourable mention for the scorebook (yes, things were that bad). Paul Mildon’s diving sliding catch got champagne moment, while Pip / Amit / Josh got muppet moment for a collective failure to learn. This entry was posted in Uncategorized on July 23, 2018 by whalers1.